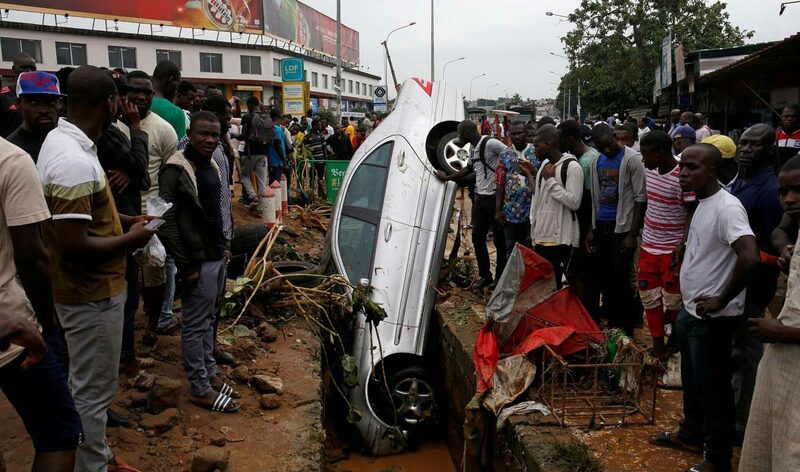 ABIDJAN, Ivory Coast (CNS) — Catholic bishops in Ivory Coast have blamed corruption and urban development for flash floods that destroyed shops and homes and left 20 people dead in the West African country’s largest city. “In a city as sprawling as Abidjan, witnessing rapid development and galloping urbanization, there are obvious risks of anarchic settlements which violate safety rules and natural topography,” the bishops’ conference said in a statement. The statement was published as bulldozers cleared properties damaged in the June 18-19 floods, which raged to up eight feet through parts of the coastal city. However, action was also needed, the bishops added, to prevent a repetition of the floods, exacerbated by severe infrastructure problems. “We assure the state aid services, as well as the donors and well-wishers providing much-needed help and support, of our prayers of solidarity,” the bishops’ conference said. Catholics make up a fifth of the 20 million inhabitants of Ivory Coast, which is home to the world’s largest Catholic basilica in the capital, Yamoussoukro. Muslims are about 35 percent of the population. On June 21, Interior Minister Sidiki Diakite said the government had decided to expel inhabitants of flood-prone areas in two densely populated districts of Abidjan, a city of 5 million. He also said the government would demolish stalls and dwellings built over drainage routes and storm canals in a bid to prevent further fatalities.